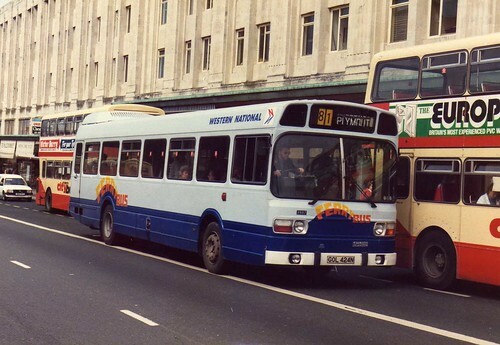 In a special livery for its route incorporating the Torpoint ferry is this ex Midland Red National, here with Western National in Plymouth's Royal Parade. 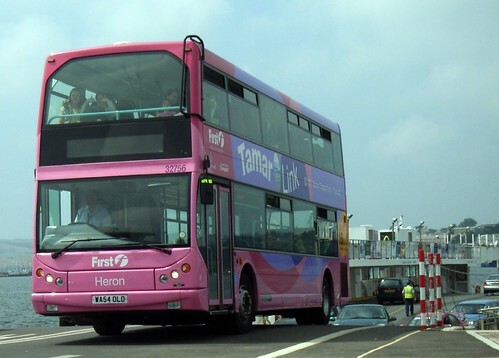 Today, First operates this route with buses in a special livery. This same bus can be seen in its Midland Red livery here along with aec's other excellent photos.